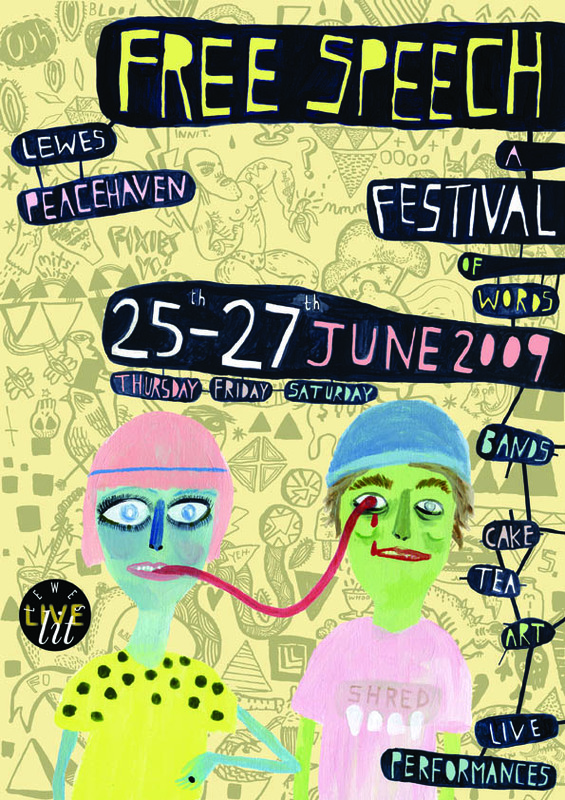 A festival for young people produced for LLL Productions as part of the Festival of Words consortium. Loosely based around a theme of free speech, the programme involved multi-media projects with five schools - from a slam-style performance poetry event involving Priory School, Lewes, and Ringmer Community College to a film and performance event with Peacehaven Community School to Manga workshops to a project at Northease Manor School where two dyslexic visual artists worked with dyslexic students to explore the idea of finding your own voice. The festival concluded with a public day of events that included a once-off adaptation for the stage of John Agard's The Young Inferno, Queen of Teen Louise Rennison interviewed by local school students and a performance by emerging local bands. The programme actively engaged over 400 young people, of which 92 took part in school-based artist residencies, 52 took part in performances and 34 in other outcomes, such as presenting films or contributing visual material. Over 20 artists were involved with the delivery of the project.